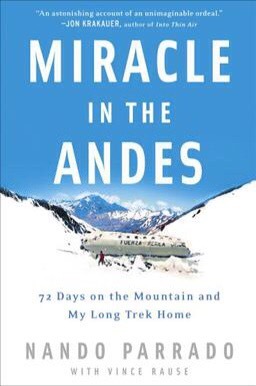 Nando Parrado is one of sixteen survivors of a 1972 plane crash in the Argentine Andes Mountains. Another book, Alive, was written and made into a movie in the 90s. I’ve never heard of this story, so I was riveted by it. My riveting is a credit to Parrado’s storytelling and personal account of the survivor’s ordeal. If you enjoy true stories that make you think and marvel, you should read Parrado’s book. You’ll be satisfied. But what you’ll hopefully also receive are some life lessons to model. He gives you plenty. These 72 days gave more than 72 lessons. The survivors continue to live them out. Read it and see what you could live out. 2 Kings 5 tells the entertaining and interesting story of Naaman. Naaman was a commander in the Syrian army who also happened to be a leper. His wife’s handmaid, a young Israelite, encouraged him to go see Elisha, the prophet in Samaria that she believed could heal him. After gathering what he thought he needed for the trip and arriving at Elisha’s front door, he found out things were not going to play out as he thought. Elisha sent out a messenger to tell him to go and wash in the Jordan River seven times. Naaman didn’t think this was acceptable. Naaman had told himself what to expect based on his position and on his limited understanding of God’s prophets and their ways. When his expectations were not realized, his initial reaction was anger. His expectations were not realized because he had only talked with himself. You been there? I have. Built expectations on just what I thought, what I had told myself. No one else was in the conversation. No one. And it didn’t end well. Not knowing the God of Israel, it’s understandable that Naaman would have to experience something like this to believe, to see his thoughts in a new light. Naaman had to learn that a life lived with only one conversation with yourself is limited and potentially hopeless. A better life, the one God desires for you, is found when you invite God and others into the conversation. When Naaman humbled himself, released his expectations and listened to someone else, then God was able to heal him. What are you telling yourself? What if you always welcomed God into the conversation? I grow weary of telling myself anything. I’d rather God tell me everything, be in charge, and meet his expectations. Solomon says wisdom leads to living with integrity which in turn results in being shielded by God. We all long to feel safe and protected. Reflecting on this verse recently, I made the connection between making wise choices and maintaining safety from God when the right choice is made. His safety and protection is not guaranteed and is put in jeopardy when I choose to disobey or disregard wisdom. Whatever the results are from an unwise choice is my fault; I chose to leave the protection behind God’s shield. This isn’t necessarily a popular thought these days. Living life as you want without any fear of repercussions is what culture preaches. Then when life strikes back after someone makes a poor choice, suddenly God is questioned and possibly even denied. It’s his fault, not ours. I bet if we asked some guys from scripture they would testify differently about what happens when you leave the shield of God’s protection. Ask David. When he left because of his lust, people died, including his infant son. Ask Jonah. When he left because of his prejudice, he ended up on the beach, covered in fish guts. Ask Achan. When he left because of his selfishness, he lost everything, and so did his family. We’re just like these guys. We’ve left the shield at some point. Thankfully, that doesn’t have to be a permanent decision. Have you thanked God lately for his protection, for being your shield, for welcoming you back after you’ve left? Maybe the next time you talk with him, not only thank him but also commit to following him with integrity, to staying behind his shield of protection. 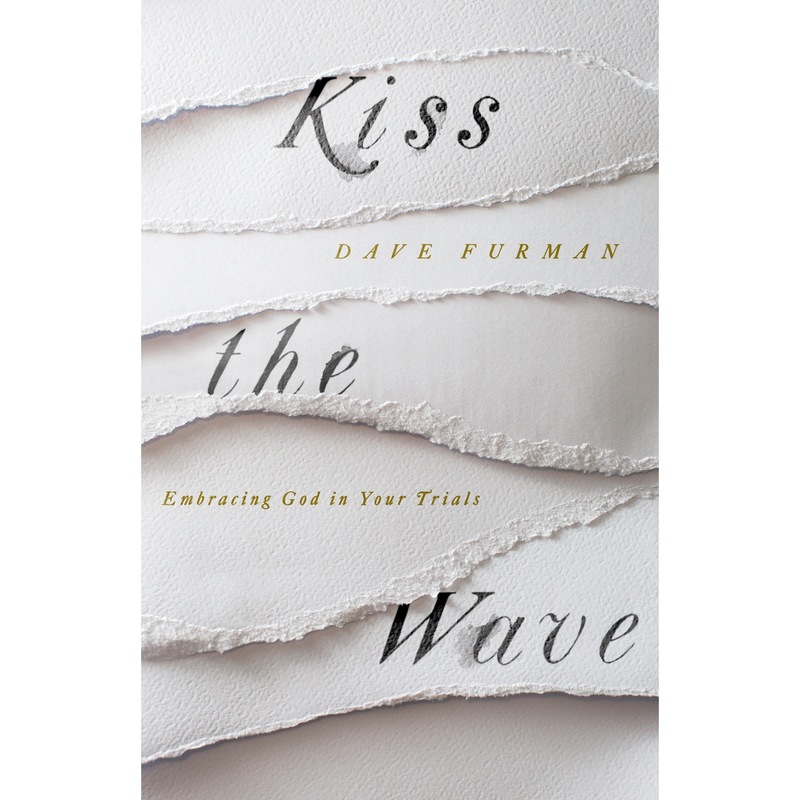 This week I finished a book that a friend gave me entitled Kiss the Wave by Dave Furman. Furman is a pastor in Dubai who suffers from a nerve disease and struggles with disability in both arms. I’ll just go ahead and recommend this book for anyone who is living with or giving support to someone with a lifelong disability. Chapter 9, “Weakness is Always the Way,” had the most nuggets for me. Furman reminds the reader that God’s ways are not our ways. He talks about the Japanese form of art called Kintsugi, which involves joining together broken pottery pieces with gold or another precious metal, as an example. God uses the brokenness of pain and suffering to create in us images of his power through our weakness. Weakness is the way (a borrowed title from a book of the same name by J.I. Packer). If we were steel vessels without blemish or weakness, we might be tempted to think we have no need for God. However, God uses weakness to show our need for dependence upon him. It is a privilege to boast in our weaknesses because they reveal who are Father really is – a great God. Have you ever considered that your weakness is a part of God’s glorious plan for your life? We can embrace God in our trials with faith that God is doing a work in us beyond our comprehension. Our scars are not things to run from or to hide from others. Through them we exalt the one who is conforming us more and more into his image. Most likely you have a thorn. It could be physical, emotional, mental, even spiritual. Maybe you live with MS, or you battle depression, or you’re trying to overcome the emotional scars of family history. Maybe your thorn is like Thomas’s where you tend to doubt and worry more than trust and believe. What if you studed Paul’s life then followed his example of surrendered contentment? What could God do if you let him work through your thorn? Let’s just get straight to it. The big question for whatever you’re dealing with that appears insurmountable, unsolvable, even potentially life-changing is this: What Are You Willing To Do? Are you willing to leave those benefits? Are you willing to downsize? Are you willing to be completely honest? Are you willing to cut that check? Are you willing to give up that vacation? Are you willing to say, “I’m sorry”? Are you willing to admit, “That’s my fault”? Are you willing to drop all the excuses? Are you willing to acknowledge your limitations? Are you willing to answer, “Yes,” to God regardless of who else says you should say, “No”? Are you willing to be still? Are you willing to come out of seclusion? Are you willing to follow the plan? Are you willing to tear down that idol? Are you willing to say, “I need you, God”? Are you willing to admit you’re addicted? Are you willing to be loyal? Are you willing to take on the responsibility for your own healing? Are you willing to stop trying to save the world? Are you willing to stop telling the Holy Spirit, “Hang on a minute. Someone else is calling in”? What is the big question for you? What is it that you know you need to be willing to do?